The Fukang meteorite was discovered in China in 2000 and is certainly one of the most beautiful meteorites. As a member of the scarce Pallasite group of meteorites it contains a nearly fifty/fifty mix of metal and olivine crystals. Most pallasites have crystals that are dark cloudy and highly fractured. In contrast to this there are a handful that have sparkling clear and less fractured olivines. Fukang is certainly among this handful with large and transparent crystals. 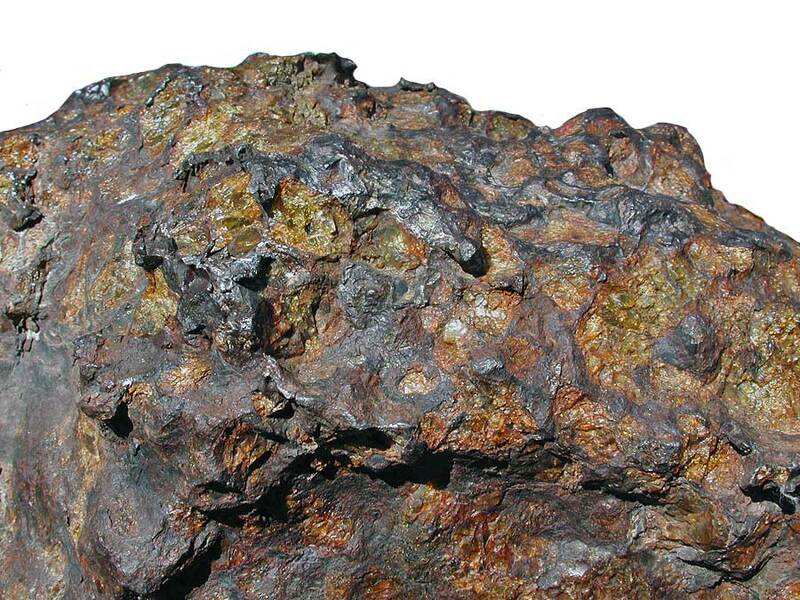 Slices of Fukang meteorite are highly sought after by collectors. Only the single large stone was discovered weighing 1003 kilograms. The Fukang meteorite before cutting.